I’m so excited to announce that I have partnered with Aniika.com for a giveaway! 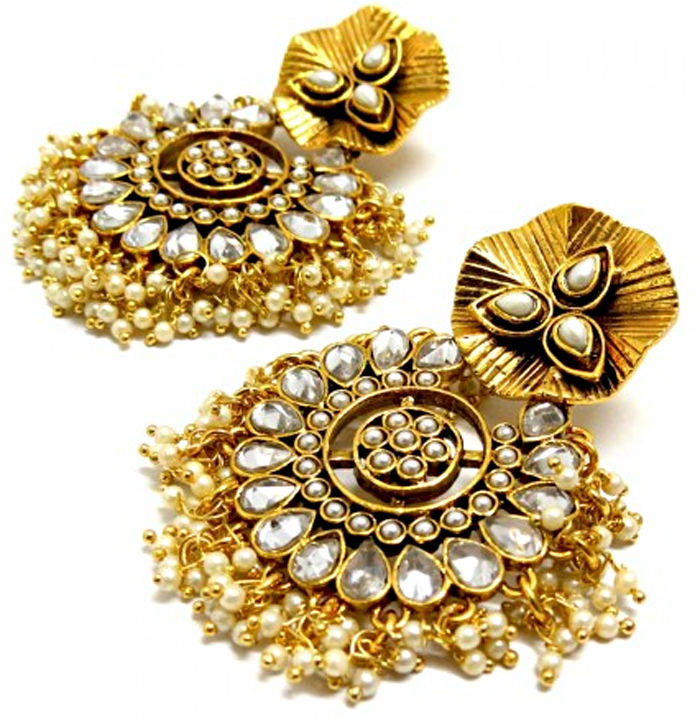 As a reader of my blog you can win these gorgeous Daksha vintage white earrings that I personally picked out. Click here to see more details about these fabulous earrings. • Leave a comment with your name, residing state and email address. Giveaway is open until Sunday September 30th, 2012. .
Entrants must leave their e-mail address, residing state and email address in the comment section. For an additional entry please include if you liked mine and/or Aniika’s Facebook pages. Winner will be chosen randomly and contacted via e-mail. Sweepstakes is open to legal residents of the United States. Submission comments missing "name, state and email" will not be eligible to win. LOVE the earings! Want to own! I Like The Style Socialite on Facebook. I Like Aniika on Facebook. Love these earrings, super cute!